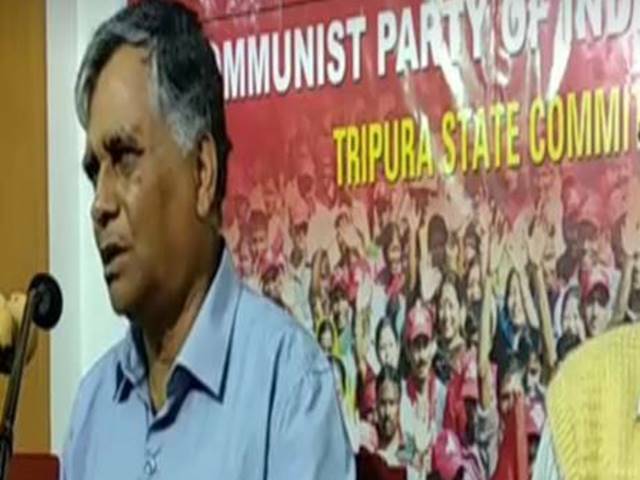 The Tripura state unit of the Communist Party of India-Marxist (CPI-M) has announced that it will stage a protest rally on Monday against the contentious Citizenship (Amendment) Bill, 2016. Interacting with media on Friday, state secretary of the CPI-M, Goutam Das was of the opinion that the Centre’s urgency to implement the citizenship bill is a part of their communal politics and it has hurt the sentiments of the indigenous people of the entire north-eastern region. He also alleged that the saffron brigade is trying to create unrest in the region to achieve its narrow political gains. The Left party has demanded immediate withdrawal of the bill. Notably, the Lok Sabha passed the Citizenship (Amendment) Bill, 2016 on January 8 last which proposes that the Hindus, Sikhs, Buddhists, Parsis, Jains and Christians from Afghanistan, Bangladesh and Pakistan who are persecuted on account of their religion will be eligible for citizenship residing in the country for six years instead of 11 years. Immediately after, the entire Northeast which was simmering erupted in vigorous protest against the bill.